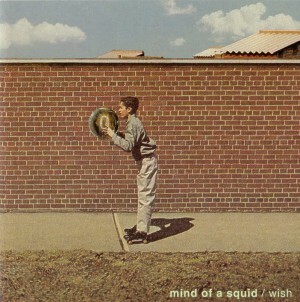 Mind of a Squid - "Wish"
Toronto space rockers Mind of a Squid are back with their second full-length. Wish follows quite naturally on from Down Low with a balanced mix of spacey instrumentals and more rocking vocal tracks, though overall, Wish rocks a little harder than their first album, but the rocking is full of gorgeous space textures, and of course Marina Adam's stellar, siren-like voice. Lead guitarist Erik "The Atomic Cosmonaut" Culp is in fine form, especially on the title track, which simply bristles with vibrant energy. This time out, there seems to be a little less of the Ry Cooderesque twang to his playing, but it's nonetheless replaced with a more varied palette of dynamics and styles. Troika, for example, which is a favourite of mine, features Culp playing his guitar in a shimmering, mandolin like way. And the piece concludes with a dreamy, slowly building instrumental section with heavier fuzz guitar and even has some Mellotron like choir floating through the mix. Malice is full of spooky space textures, making great use of Culp's Moog synth and Marina Adam's Rhodes, set to a seductive rhythm from bassist Scott Bucsis and drummer Blas Melissari. The song writing shows off a stronger sense of melody this time out too, on tracks like the psychedelically charged Esperanza and the melancholic, Moving. One of the things I particularly enjoyed about Wish was how it was layered with environmental sound effects, mostly from urban environments, giving it a certain busy warmth and depth. They creep into the mix near the beginning and the end of the vocal tracks and often run straight through the instrumental pieces. Siege, for example, is a simple, brief, but effective instrumental bridge featuring some distant, haunting, nostalgic piano, made even more poignant by distant city sounds that can be heard behind it. It's a lovely introduction to the next piece, when the spacey electronics and liquid guitars and rhythms of the instrumental Rotor rush in to fill the space. A few other standout tracks on the album are the second to last track, Show, with its soaring, swirling finale, and the evocative One Day, with its softly picked acoustic guitar, and Adam's beautiful voice backed by spacey harmonies finishing things off. Mind of a Squid is dynamic, striking space rock that focuses on solid song writing and deep layers of atmospherics rather than freak out jamming. And while Wish is a little harder-edged than their first album, the experience as a whole, with its drifting sound effects, spacey atmospherics and mid-tempo rhythms, is still lush and dream-like in nature. Perfect late night listening with the headphones on! For more information, visit Mind of a Squid at their web site: http://www.mindofasquid.com.